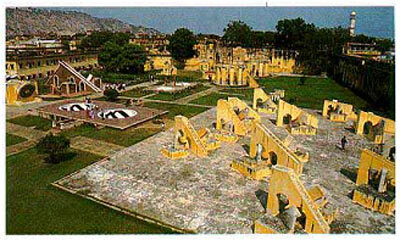 From antiquity, astronomy, astrology and the Hindu religious practices were deeply intertwined in India. The roots of astronomy in India can be traced to at least the period of the Vedas (2000 to 1500 BCE) and many of its notations are found in Rig Veda and the later Atharva Veda. Some experts in the field consider that the Indian astronomy goes much farther into the past, to 4000 or even 11000 BCE; this belief is based on the finding of the mention of astronomical notations in Jyotisa Vedanga, a vedantic text, which was written in 4000 BCE; this text contains observations going much farther into the past. Two such examples are highlighted by two astronomers from 9-8thcenturies BCE who have made profound observations and that are worth mentioning here. Atareya Brahmana stated: “The Sun never sets nor rises. When people think the sun is setting, it is not so; they are mistaken”. Yajnavalkya believed that the earth was round and that the Sun was the “centre of the spheres”, with the recognition that the sun was much larger than the earth. The Rig Veda states that the Indians divided the year into 360 days, comprising 12 months, each month having 30 days. They then corrected the missing days by adding four days every 5 years (the modern solution is to divide the year into 4 months of 30 days, 7 months with 31 days and the odd month of February with 28 days but every fourth year give February an extra day, the so-called “leap year”). The Indian system brought the average number of days to 366 days per year, but had to be tweaked constantly. Despite the deep influence of the Hindu religion in astronomy, by the first century BCE, Indian astronomers already understood that the earth and the planets were spherical and that the stars were just like the sun but situated much farther away. The Sanskrit Sloka declared this fact this way: “Sarva Dishanaam, Suryaha, Suryaha, Suryaha”, which means “there are suns in all directions”. Even as early as the third Millennium BCE, there were indications that Indians were proposing a Heliocentric universe. In a text written by the Indian astronomer Yajnavalkya and called “Shatapatha Brahmana”, he had calculated the distance between the earth and the moon as being 108 times the diameter of the two bodies (the current astronomy estimates this value to be 110.6 times). The sun’s distance from the earth is 107.5 times of the diameters of the respective bodies. Around this time, Indian astronomers had also measured the circumference of the earth as being 5000 ‘Yojanas’ (one Yojana is 7.2km); this value is close to the currently accepted value. 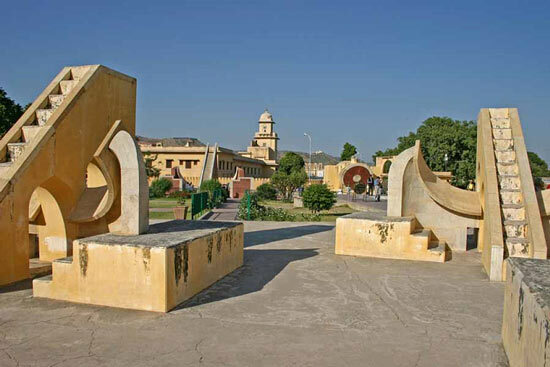 The scientific study of astronomy blossomed in India in the so-called Siddhantic (“Siddhant” means “solutions”) period, starting with Aryabhata in the fifth century CE. In this period, which can be considered the Golden Age of Indian astronomy, the astronomers clearly separated astronomical studies from the religious practices. During this period the Indian astronomers charted the solar year, the solstices, the equinoxes, the lunar periods, the solar and lunar eclipses and the planetary movements. Other important concepts like that the earth was spherical in shape and that it rotated on its axis, rather than the heavens rotating around the earth were also proposed during this period. Equally important were the renewed recognition by Indians that the stars were suns, but situated much farther away. It is to be noted that during this period the Greeks were still teaching that the celestial bodies were suspended in concentric spaces within crystal spheres, with the earth being in the center of the universe. 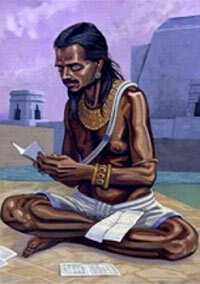 We will now focus our attention on individual astronomers of the Siddhantic period and their respective contributions. We will start with Aryabhata. He proposed that the earth rotated on its axis, thus giving the illusion of the heavens rotating around the earth. This predated the Europeans’ (Copernicus and Galileo) recognition of this fact by a Millennium! The elliptical nature of the planetary orbits were described by him; this is yet another credit given to a European, (Johannes Kepler), although Aryabhata predated him, also by a Millennium. 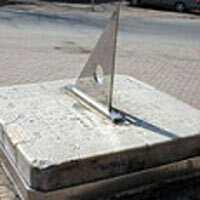 In the field of mathematics, his Aryabhatiya described how to calculate the areas of triangles, volumes of spheres and the values for square and cube roots, and the value of pi to the 4th decimal point. He was aware of the notation of zero and used it in his calculations but it is not known for certain if he actually invented it. His most important discovery in mathematics was, of course, the place value system, which made counting very large numbers possible. This latter discovery alone should accord this genius the title of the Father of Mathematics! The major proposal by this astronomer and his colleagues was that there is an attractive force that keeps objects on the surface of the earth, which is also the force that keeps celestial bodies in their respective places. This recognition of the force of gravity also predated Newton’s ideas by a Millennium. This astronomer concurred with Varahamihira about the attractive force of gravitation. He described it in the following way: “Bodies fall towards the earth as it is in the nature of the earth to attract bodies, just as it is in the nature of water to flow”. Also, the Sanskrit term for gravity is “Gurutvakarshan” (Akarshan means to be attracted, and thus, this term can be interpreted to mean “to be attracted by the Master”). 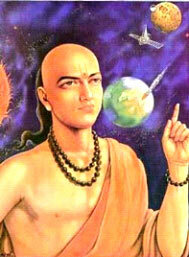 Bhaskara I (Bhaskaracharya) authored several important astronomical works, such as Mahabhaskariya , Laghubhaskariya and the Aryabhatiyabhashya (a commentary on the Aryabhatiya, which was written by Aryabhata). In these works he described the planetary longitudes, heliacal rising and setting of the planets, conjunctions among the planets and stars as well as the lunar and solar eclipses and the phases of the Moon. Lalla’s Sishyadhivraddhida deals with planetary calculations, the determination of the true and false planets, the diurnal motion of the Earth, the eclipses and the rising and setting of the planets and many similar subjects. He also described astronomical instruments in some detail. Bhaskara II’s Siddhantasiromani (“Head jewel of accuracy”) and Karanakutuhala (“Calculation of Astronomical wonders”) describe the eclipses, conjunctions, planets’ positions and the astronomical instruments. Sripati was a follower of Brahmagupta and in his book “Siddhantasekhara” he described the moon’s second inequality. Mahendra Suri was a Jain astronomer in the court of Firuz Shah Tughluq. 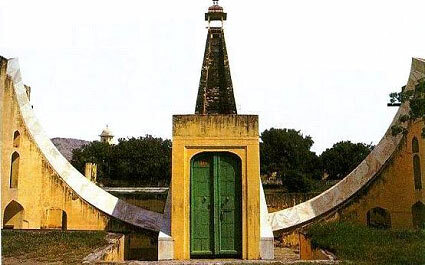 In his “Yantra Raja”, he described the longitudes of 32 stars and their latitudes. 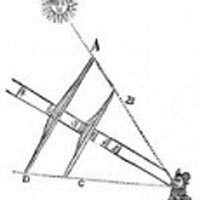 He also explained the Gnomon (an astronomical instrument), and the equatorial and elliptical co-ordinates. This prominent astronomer is from Madhava’s Kerala School of astronomy and mathematics. 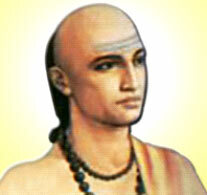 In his treatise “Tantrasangraha”, he modified Aryabhata’s model for Mercury and Venus. He described the orbits of Mercury, Venus, Mars, Jupiter and Saturn around the Sun. However, he described the sun as orbiting the earth. Clearly, in this assumption he was incorrect. Editor’s Commentary: I am tempted to speculate why, given India’s very long involvement in explaining astronomical phenomena and the considerable accomplishments of the Indian proponents of astronomy from antiquity, the West has found it fit to ignore these accomplishments. Quite apart from the ‘blindness’ of the West (especially the US) to India’s accomplishments in any field, I suggest that the incessant Muslim invasions of India and culminating in the prolonged European Colonization might have simply obliterated evidences of such accomplishments. It may also be due to a Eurocentric bias and unwillingness to admit superiority of other cultures. I am amazed to note that even the liberated intellectual such as Carl Sagan, in his TV series “Cosmos” felt it fit to completely ignore the accomplishments of Indian astronomers and mathematicians. He could have easily included a few segments on these geniuses who proposed many of the observations in astronomy that collectively form the backbone of modern astronomy, Millennia before the Europeans. Surely, the Europeans could have heard about these ideas through the merchants and invading armies of the Middle East and, promptly made them their own and claimed credit for them! 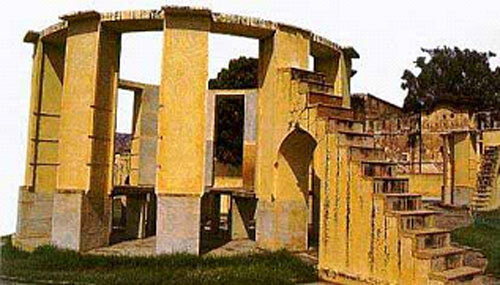 Below, we present pictures of some structures that were constructed in India, to study astronomical events and some ancient instruments used in astronomy.